Phantom of the Opera is Broadway's longest running musical! 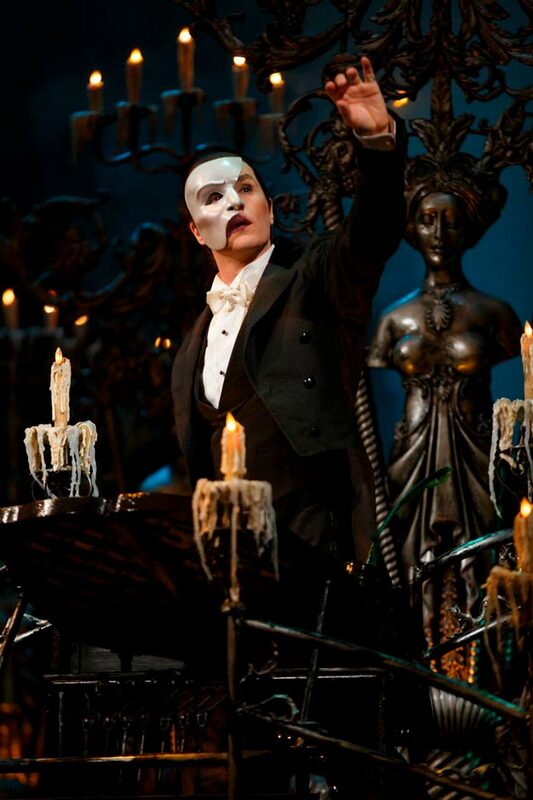 Book your tickets for The Phantom in New York before you leave home. The Phantom of the Opera is often considered the musical of musicals so get ready for an unforgettable musical experience! The Phantom of the Opera is a musical phenomenon with some of the most extravagant settings, costumes and special effects ever used on a stage. Around the world, the Phantom of the Opera has played in over 90 cities and won more than 50 awards, including seven 1988 Tony Awards, one of which was for Best Musical. Phantom of the Opera is for most people, both avid theatregoers and first timers. The musical isn't suitable for young children as certain scenes are scary, it is after all about the Phantom of the Opera. It's recommended for children from age 10. Children under age 5 will not be permitted into the theatre. "Absolutely outstanding. Breathtaking voices, very moving and couldn't ask for any better performance by the cast members!!!!!! Cate"